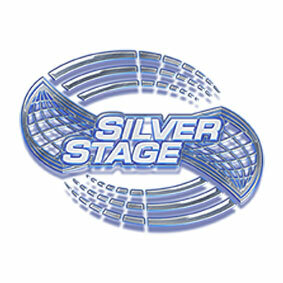 Silver Stage had limited experience with Search Engine Optimisation and were unsure of its effectiveness as a marketing technique. However, they were aware of how important it was for their business to increase exposure of their brand online and to generate new business leads. Bespoke Digital’s consultative approach reassured them that with a little investment, a sound strategy could deliver solid returns. We agreed to a three month trial campaign and set out clear goals by which to measure its progress and success. 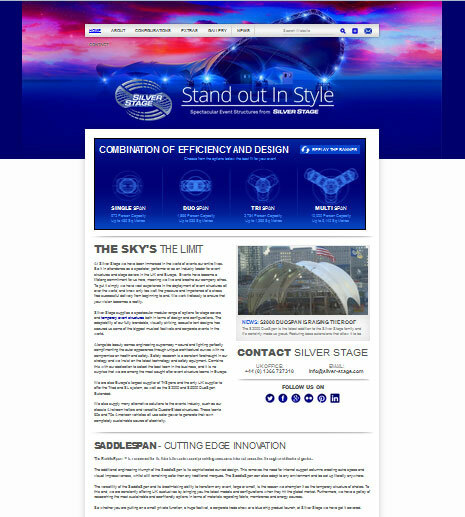 Our primary objective for Silver Stage was to get their website ranking on page one of Google for an agreed set of key phrases within three months. We began with some research to establish which words Silver Stage were ranking for at that time, and to identify the most frequently searched for and relevant terms for their industry. After identifying ‘temporary structure’ as a highly searched for term within their sector we found Silver Stage already ranking on page three, but for a URL that wasn’t relevant and was unlikely to convert any traffic it received. After our initial consultation and research, we agreed to directly advise their web development and content creation teams on how to incorporate our SEO strategy into their day-to-day work, leaving the owner to get on with running the business. Our first task was to update their website, to optimise the target URL and its content and ‘de-optimise’ the page that was incorrectly ranking. We advised the client’s team on how best to fix duplicate content issues, and rectify internal linking and domain weaknesses. This included setting up Google Webmaster Tools and submitting new sitemaps and pages for indexation. We also implemented a schedule of regular content production and a targeted link building campaign, sourcing contextual links from relevant industry forums and sites that were happy to endorse Silver Stage and their work. This strategic approach achieved the aim of getting the site to rank on Page One for its primary keyword and many longer tail variations within the three month trial period. The site continued to climb in the organic search results until it reached Position One for all of the target keywords. There was also a significant increase in unique visits to the website via organic search traffic. Where the site had received no visits for our targeted phrases in April, by October it saw a steady increase in traffic till our target keywords represented nearly 15% of the site’s overall traffic for the month. We are now a trusted part of the Silver Stage marketing team, and work alongside the web development and content marketing staff to further develop their digital marketing strategy.